(a) Temporarily install the rear No. 1 suspension arm assembly LH to the rear suspension member with the bolt and the nut. Ensure that the identification mark faces the rear side of the vehicle. (b) Set the rear No. 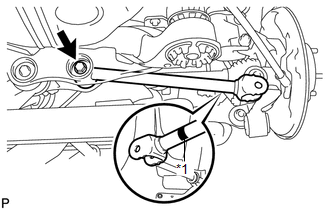 1 suspension arm assembly LH in the tightening position shown in the illustration. 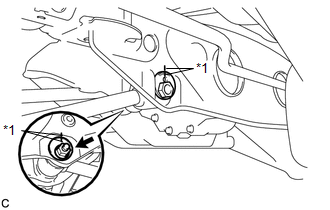 (b) Temporarily install the rear suspension member, 2 rear upper suspension member stoppers and 2 rear lower suspension member stopper retainers with the 4 nuts and 2 bolts. 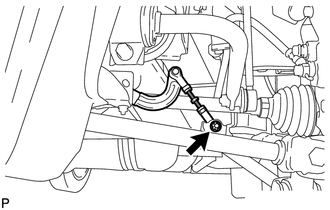 Be sure to install the rear suspension member with the rear upper suspension member stopper and the rear lower suspension member stopper retainer in the correct direction as shown in the illustration. (c) Fully tighten the 2 nuts (A). 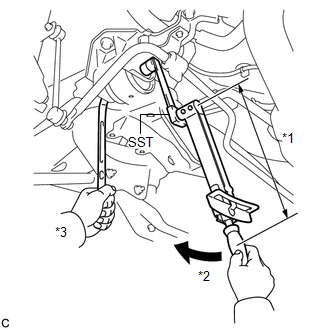 (d) Using SST and a socket wrench (19 mm), fully tighten the 2 nuts (B). (a) Connect the rear No. 1 suspension arm assembly LH to the rear axle carrier sub-assembly LH with the bolt and the nut. (a) Engage the 2 clamps to install the frame wire. Do not twist the frame wire when installing it. 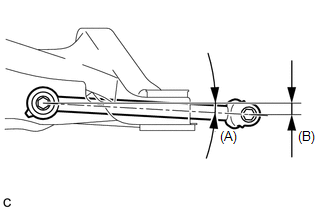 (a) Engage the clamp and connect the connector to install the No. 3 floor wire. Do not twist the No. 3 floor wire when installing it. (a) Install the No. 1 floor under cover with the 5 clips. (a) Temporarily tighten the rear No. 2 suspension arm assembly LH to the rear suspension member with the rear suspension toe adjust cam sub-assembly, the No. 2 camber adjust cam and the nut (B). 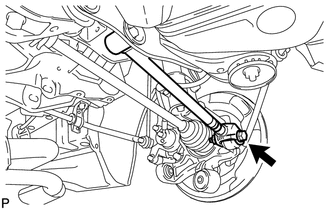 When temporarily tightening the nut, keep the rear suspension toe adjust cam sub-assembly from rotating. (b) Fully tighten the rear No. 2 suspension arm assembly LH to the rear axle carrier sub-assembly LH with the bolt (A) and the nut. 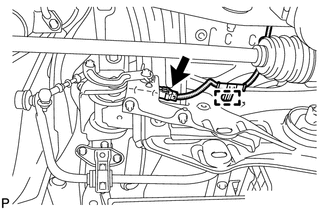 (a) Connect the rear height control sensor sub-assembly to the rear No. 2 suspension arm assembly RH with the nut. 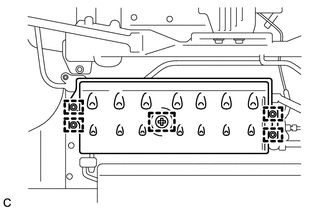 (a) Inspect and adjust the transfer oil (See page ). 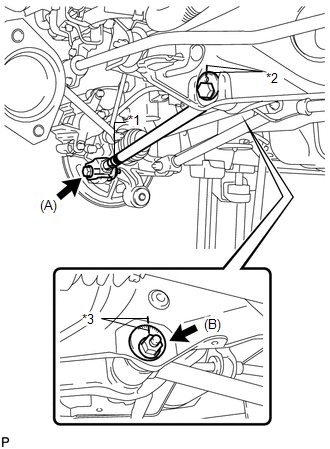 (a) Align the matchmarks on the adjust cams and rear suspension member sub-assembly. 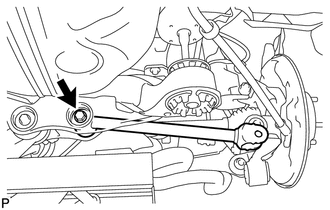 When fully tightening the nut, keep the rear suspension toe adjust cam sub-assembly from rotating. (a) Initialize the height control sensor signal (See page ). 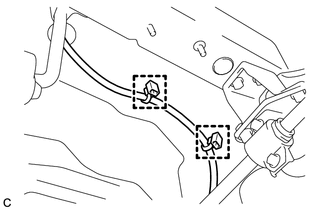 (a) Inspect and adjust the headlight aiming (See page ).